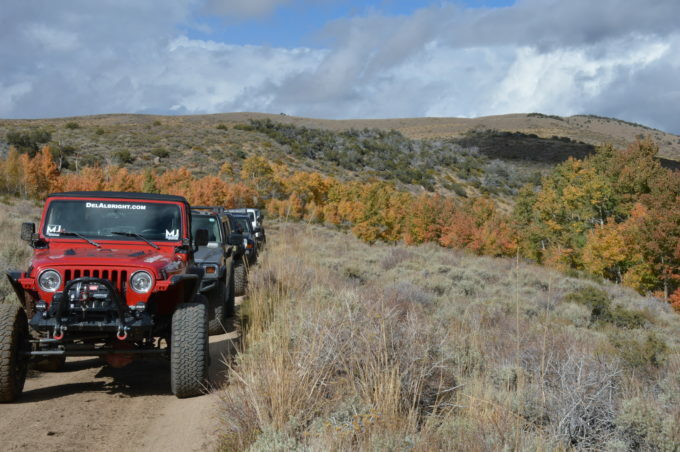 Jeeping has a lot of meanings, and one of those is simply the joy of taking a ride to do something easy – like find fall colors hidden away in some remote canyon or hillside. 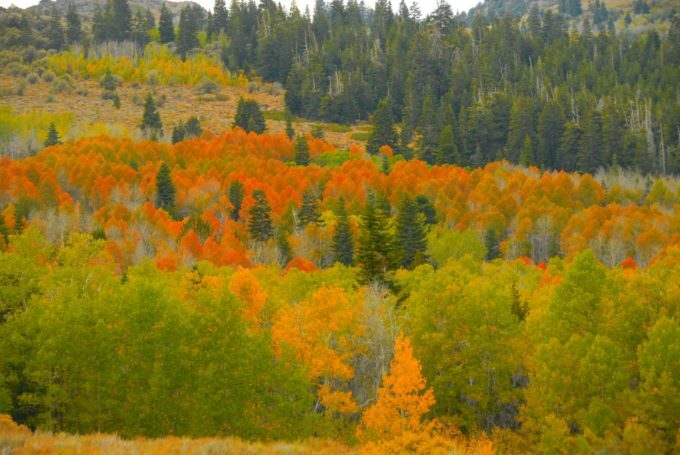 Depending on where you live, fall colors are not usually hard to find; and certainly, may not involve difficult jeeping; but having a reason to do it might help. Here are five reasons. There are magic moments when you convoy with other friends, exploring the backcountry, finding those cool spots where a “pic stop” or “photo opp” is needed, accompanied by plenty of tire kicking and jaw jacking. Being in Nature just seems to bring us closer together with a new sense of camaraderie. Jeeps, 4×4’s and friends….nothing better. If you are a summer jeeper and usually park it come fall, well, just change that and limber that puppy up with a fall colors trip. Pull out a map; grab a buddy or two; plan a day trip to the mountains and keep the moving parts greased in that machine of yours. Listen for any noises that might be new. Check brackets and mounts for anything coming loose that might not show up until your next summer’s hard rock crawl. Catch it now with an easy fall colors ride. Depending on where you like to jeep, the beauty of fall colors never gets old and usually has some incredible eye-popping rewards awaiting you. 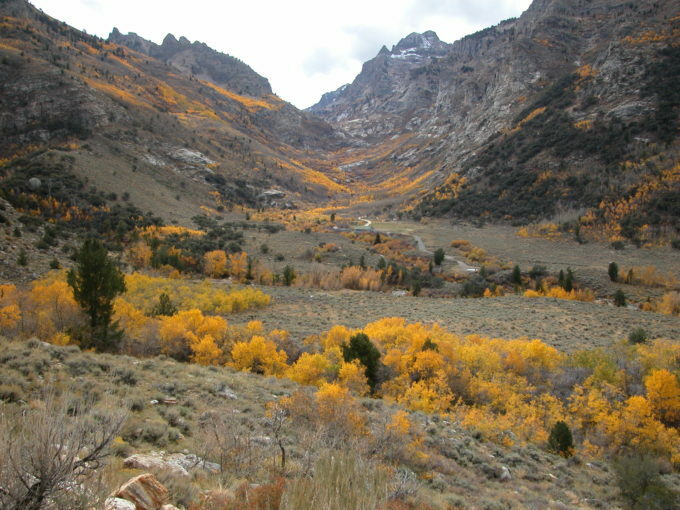 In the southwestern deserts where higher elevations hold aspen trees, you will drive through miles of boring sage brush only to come around a corner and find the “gold” – acres of yellow and golden-leafed aspen trees in full fall bloom. You might find a postcard pic! 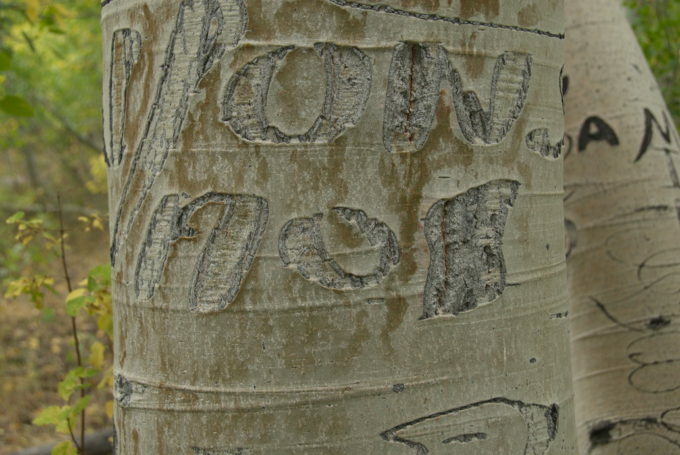 Aspen trees in the west are famous for tree carvings and they just await your curiosity. 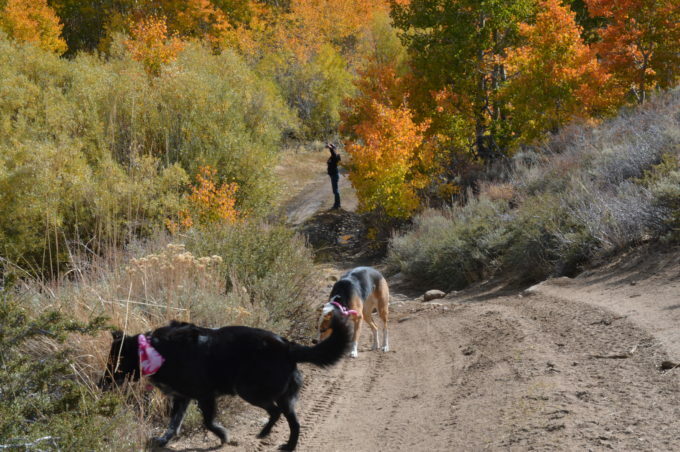 Stop in every large cluster (grove) of Quacking Aspens and walk around for a few minutes. Check the bark of larger trees for stories from the Spanish Basque of the first three decades of the 1900’s. You may find yourself taking a lot more pics than you expected. If nothing else, planning and taking a fall colors trip, even for a day trip, gets you out of your routine, off the couch, out from behind the computer, and into the field. You can ask any overlander and you will hear the same tune – to outfit and explore is the lifeblood of the adventurer and will keep you from going citified nuts! One of the best reasons we can think of for a fall colors trip is to have a reason to take the kids. The jeeping is not usually hard; you can picnic; the dog is welcome; and it can be one fun family adventure with very little effort. 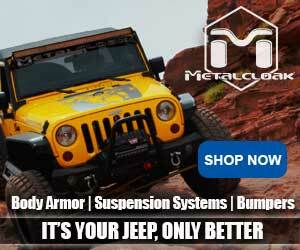 Our kids are the future of jeeping and we need to find ways to get them interested. 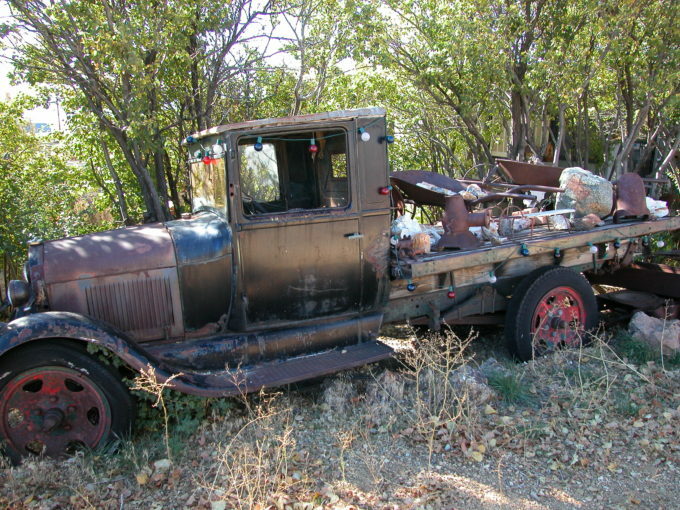 Jeeping some dirt road you’ve never explored is where the unexpected is likely to happen. Just go with the flow and let Nature show it what it has to offer. Take your time and let your eyes do more walking than your feet! Look beyond the obvious – see the forest for the trees! Stop and peek behind that rock pile or that cluster of trees, see what awaits you. Expect the unexpected and be prepared to be awed in a good year for colors. Find your reasons like these to get outside, limber up the jeep, take the kids and puppies, enjoy a picnic and just treasure what nature has to offer. I will have to go back and read the whole thing now. sure feels like summer here in the foothills of the Sierra. heading to the Con this weekend. I love the pictures, especially of the “Quacking Aspen”. These must be the trees where the ducks & geese hide. I grew up in Colorado where we had a lot of quaking aspen (Populus tremuloides), which are truly a great tree which keeps the soil stabilized. They also provide a lot of shade and, if you are lucky, you can sling your hammock and enjoy a good snooze. Great article and very enjoyable. 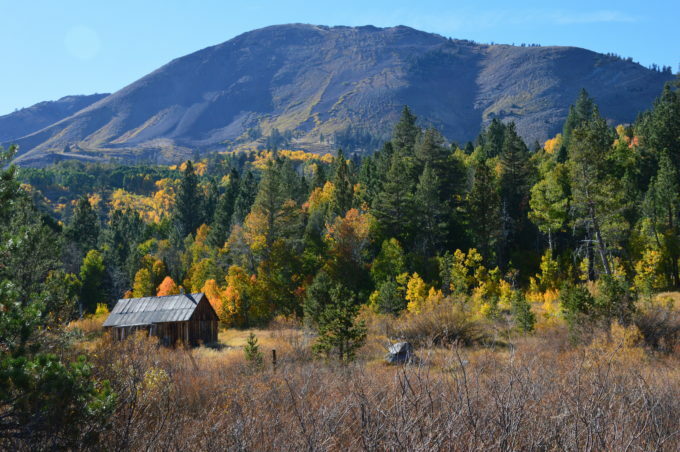 The high country of Colorado has a lot to offer, especially for fall foliage. In a month or so the snow will arrive & stick, so now is a great time to visit.